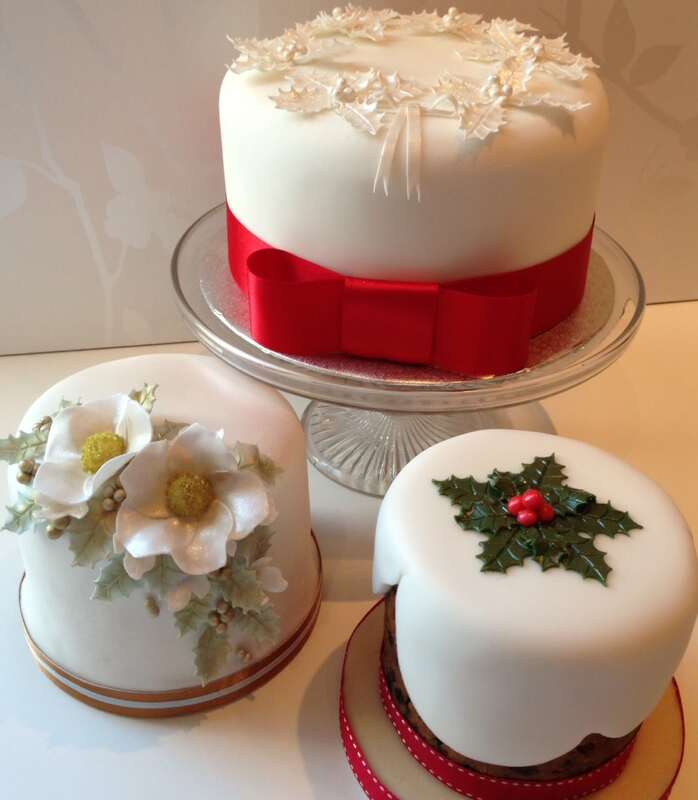 OK, so I know it’s still the summer and you’re all probably enjoying the sunny weather, perhaps you’re even going on your summer holidays this week BUT today I have to blog about CHRISTMAS CAKES!! It’s 4 months until Christmas Eve and I will start to take orders for cakes in the next few weeks, the cutoff for orders being the end of October. The Sticky Fingers Cake Co Christmas cakes are made with the same loving care as our wedding cakes with the same recipe as our Traditional Fruitcake, packed full of 7 different dried fruits and soaked in brandy, orange juice and zest. The longer they mature the better which is why I’m bringing this to your attention now. The cakes would need to be collected from Sticky Fingers Cake Co HQ here in Westcliff on Sea, Essex the week leading up to the big day and paid for in advance by either BACS or cheque. They are boxed up ready for you to take home and displayed on an iced board.